Nigeria’s finance minister, Zainab Ahmed, has revealed the government’s plans to introduce new taxes in a bid to increase the revenue of the country. 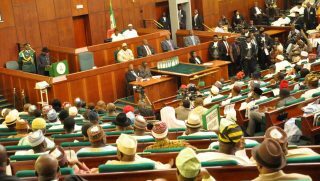 This was disclosed at a public hearing on the 2019 budget on Wednesday, organized by the Senate and House of Representatives committees on appropriation. This comes almost a week after the Ministry of Budget and National Planning and the Federal Inland Revenue Service (FIRS) announced an increase in the Value Added Tax (VAT) by the government, to fund the new minimum wage. Without giving specific details on the new taxes, the minister appealed for the support of the National Assembly on a new initiative devised by the federal government to increase revenue and fund the budget for this year. According to Ahmed, the initiative is segregated into three thematic areas. The first area is sustainability in revenue generation, with a focus on improving the collection of taxes, blocking loopholes, and cooperating with trading partners to manage performance, deregulate and provide funding for the energy sector. “This is for us to build a sustainable revenue generation ecosystem by ensuring resilience and applying automising revenue streams, applying the right incentives, the right safeguards as well as ensuring accountability and performance management systems,” she said. For the second area, the government aims to identify new and enhance the enforcement of existing revenues streams, grow revenue by collecting new taxes, model the tax base as well as enable strategic investment that will spur economic growth. “In this area, we have identified some new taxes that we’ll be coming to discuss with the National Assembly. We’ve also continuously been working to broaden the tax base to expand and improve the value-added tax performance. We will be working with the National Assembly to amend some laws and we might be using some executive orders,” the minister explained. The third thematic area, as revealed by Ahmed, is achieving cohesion in the revenue ecosystem. While she noted that the federal government is making efforts to ensure that the performance of the 2019 budget exceeds that of 2018. Several government officials have suggested new taxes on luxury goods like alcoholic beverages, as well as an increase in the Value Added Tax (VAT), a report by Premium Times reveals.